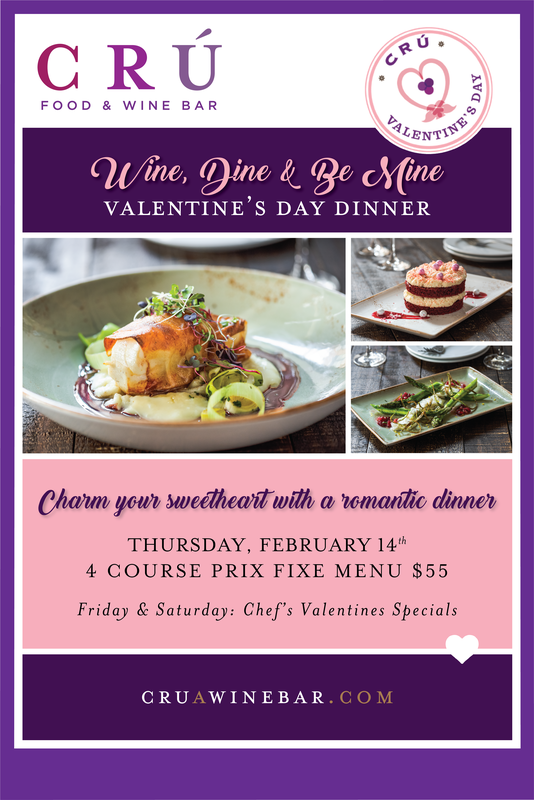 Charm your sweetheart with a romantic 4 course prix fixe menu on Valentine’s Day. We recommend you make reservations early to get choice of times. 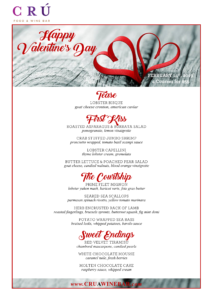 We will feature Chef’s Valentines Specials on Friday and Saturday as well.